We mourn the loss of Dan Bacon, who passed away on February 17, 2015. 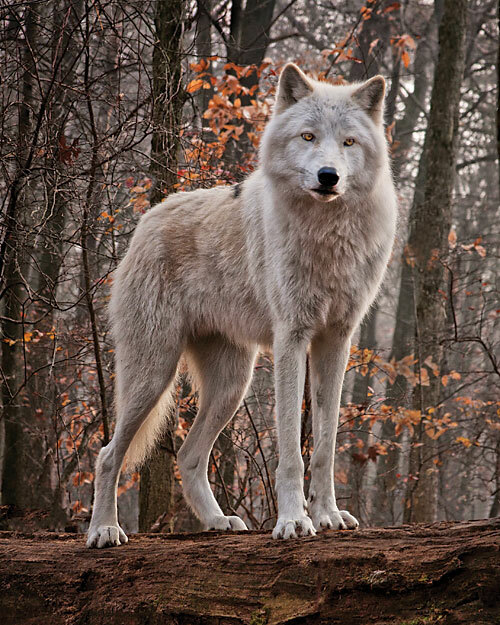 Dan spent countless hours sharing his knowledge and appreciation of nature’s majesty at the Lakota Wolf Preserve, one of the signatures of his life. His wonder and amazement were best expressed by his excellence in photography. 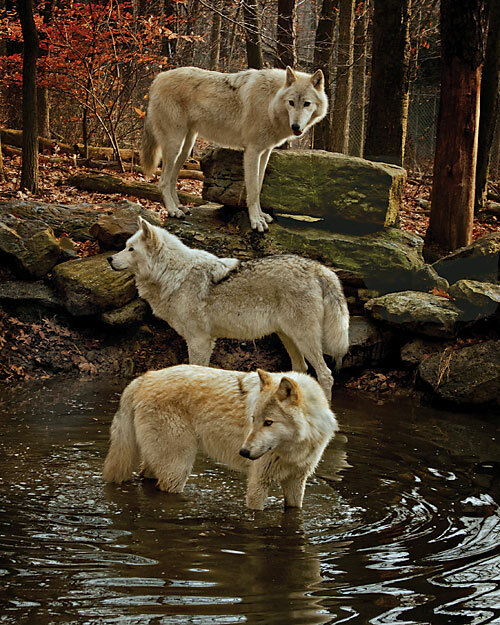 Of the hundreds of thousands of photographs he took of his wolves, this is one of his favorites. 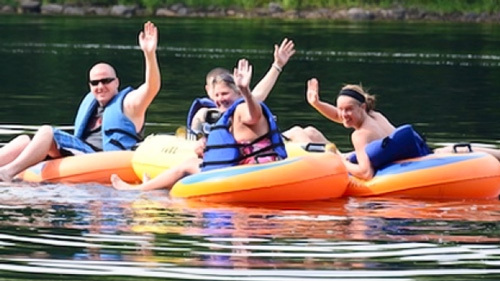 At Camp Taylor Campground, high up the ridge of the Kittatinny Mountains at the very edge of New Jersey, its always been easy to imagine the days when the most densely populated state in the nation was wilderness. 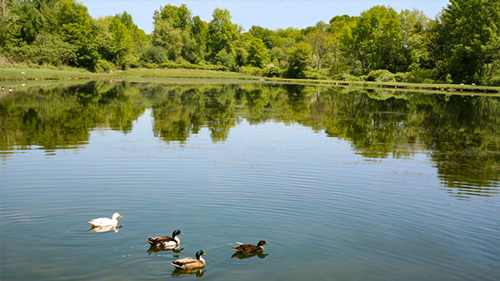 The campground adjoins the Delaware Water Gap National Recreation Area where bears are relatively common and bobcats and bald eagles are occasionally sighted. But the native wolf is long gone from these hills and, excepting Alaska and Minnesota, most of the United States. Now, at the Lakota Wolf Preserve, you can see wolves here in the East in a natural surrounding for the first time in over a century. 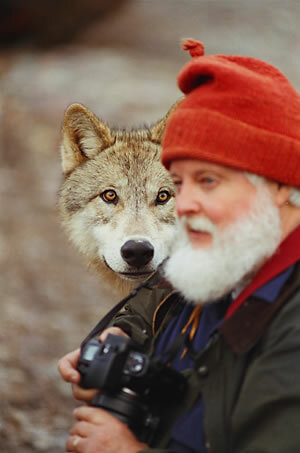 Wildlife photographer Dan Bacon broke a fundamental rule of business when he let his professional relationship with wolves get personal. 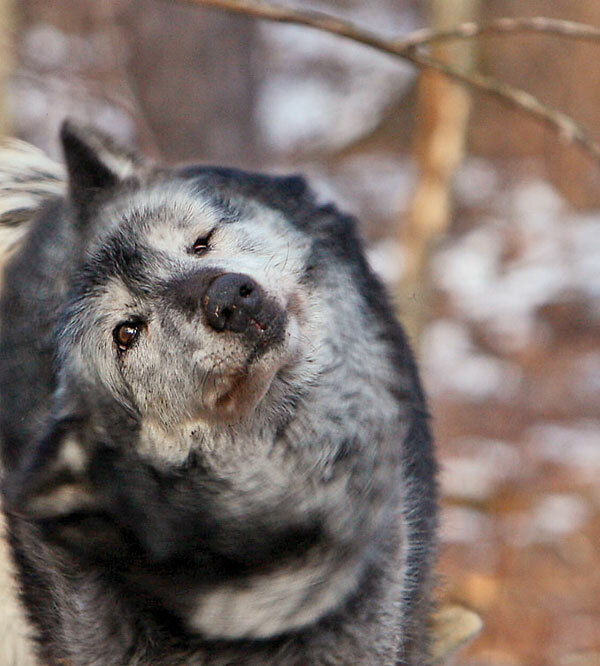 After he adopted a few wolf pups twenty-five years ago he found himself spending most of his time in transit from his home in Clinton, NJ to Colorado, where he kept his growing pack. When Bacon found out that he could no longer keep the wolves in Colorado, he had fifteen mouths to feed and nowhere to go. Through fellow New Jersey wildlife photographer Leonard Lee Rue, Bacon made the connection with Clayton Taylor, whose family has a long association both with Dr. Rue and the preservation of wildlife. 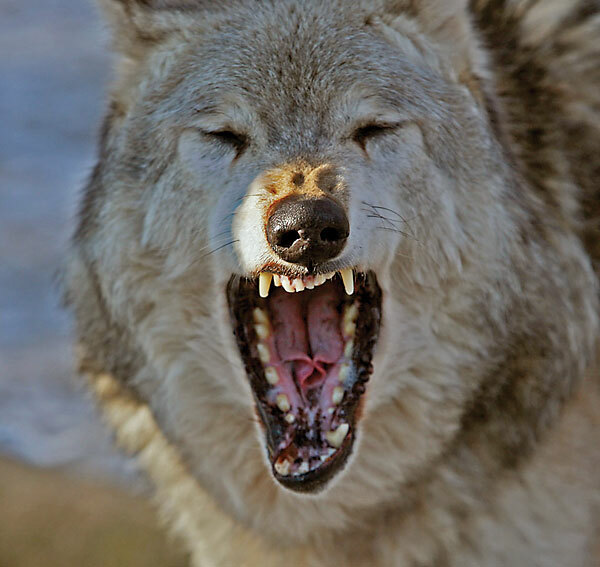 In the spring of 1997, a mile and a half of chain link fence were delivered to the campground during the height of mud season, beginning the process of building a new home for the wolves, scheduled to arrive in June. Two rows of fence now surround ten acres of Kittatinny woodlands, buried six inches in the ground and topped with three rows of barbless wire cantilever. Supported by 850 poles buried in 3,300 bags of Sakrete, the fence forms four compounds, each the size of a football field. All because Bacon let a professional relationship get personal. 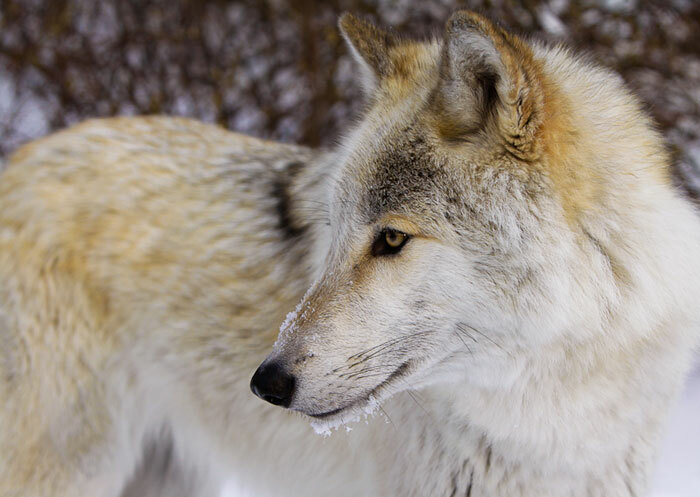 Dan's partner, Jim Stein, has assumed full ownership of the Preserve and continues to manage the day to day business of caring for the wolves and the people that come to see them. 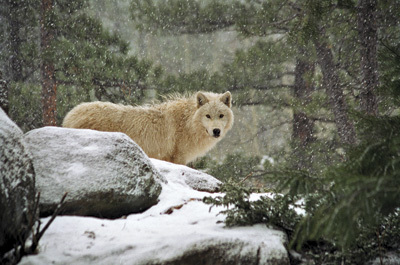 After visiting the wolves in Colorado with Bacon, Stein jumped at the chance to be part of this unique venture. The Lakota Wolf Preserve is now home to twenty-one wolves, plus three bobcats, and two foxes. 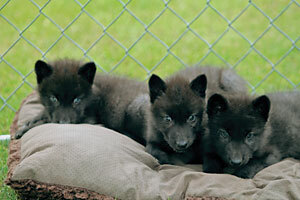 Three Britsh Columbian wolf pups, Tikaani, Kayla, and Tameron, made their public debut at Lakota Wolf Preserve in Columbia in mid-summer, 2011. Young wolves at Lakota first need some human socialization, all their innoculations, and a little more heft before they go in with the big guys. Keep an eye on the Lakota Facebook page for updates. Ten timbers, five arctics, three tundras, and three young British Columbians currently reside in four separate compounds, one for each pack, with one left for the bobcats, foxes and wolf pups during their weaning and "socialization" period. 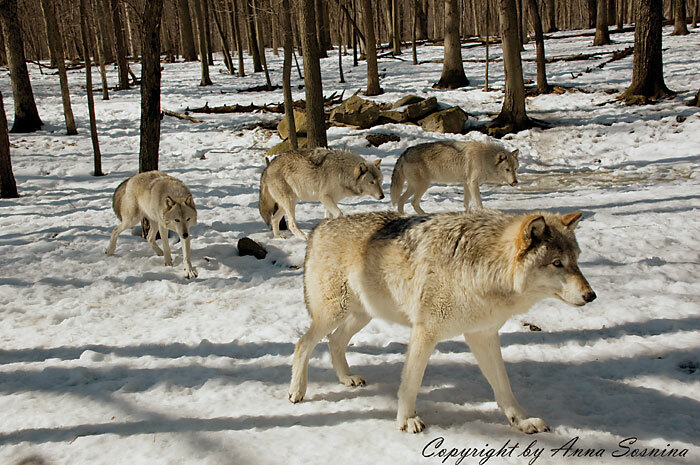 All these wolves were born and raised in captivity and, while far from domestic, have bonded with humans. If the pups were not introduced to people by regular interaction, they would live most of their lives hidden in the far reaches of their quarters. 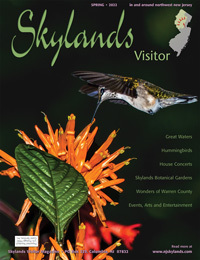 Visitors can enjoy a scenic walk back to the Preserve or ride at scheduled intervals. Beyond the double chained locked gates, the observation area lies in the center of the four compounds. Wolf watches are led by owner Jim Stein and Becky Mace, who have raised and cared for all the animals at Lakota Wolf Preserve. Catch a ride on our shuttle bus or enjoy a scenic walk to the Preserve, observing the many forms of local wildlife along the way. Upon arrival you will enter the observation area, in the center of four packs of wolves. During informal talks, you will learn about the social structure of wolf packs, their eating habits, their interaction with man, and many other interesting facts. 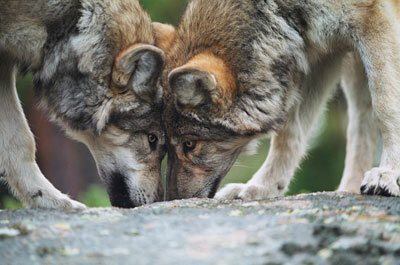 We will try to educate you about the true behavior of the wolf and will be glad to answer any questions you may have. While in the observation area you will be able to watch the wolves play, interact with each other and maybe even hear them howl! Truly an experience of a lifetime. Lakota Wolf Preserve is located at Camp Taylor. 85 Mt. Pleasant Rd., Columbia. The Preserve is open Tuesday through Sunday, closed Mondays. Wolf Watch Tours are held only at specified hours. Check the website for a schedule. 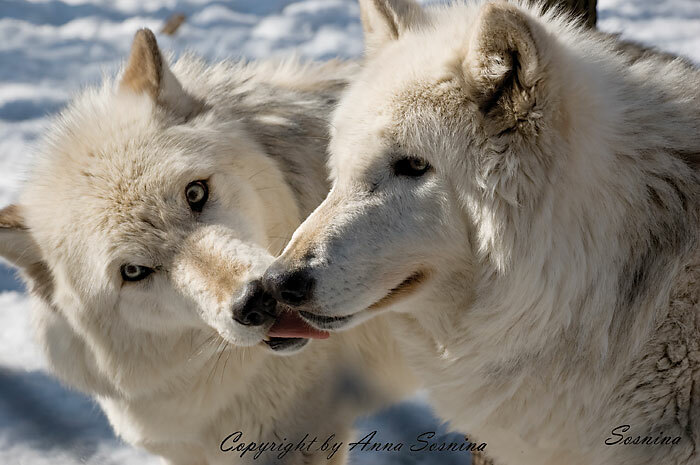 The wolves at Lakota Preserve consume 30,000 lbs. of meat each year, most of which is road-killed deer. The pitch of a wolf's howl changes up and down, making it sound like the pack is larger than it really is and intimidating potential invaders. 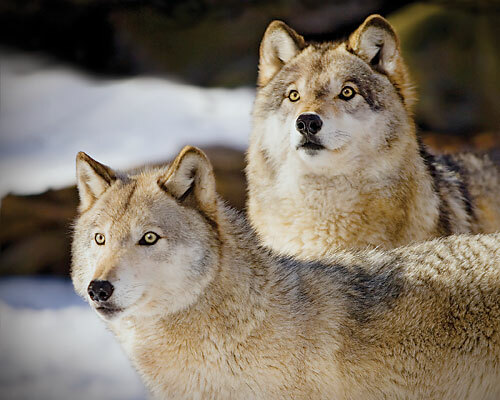 Each wolf has distinctive voice, and pack members can recognize each other. A dog can exert up to 700 lbs. of jaw pressure. 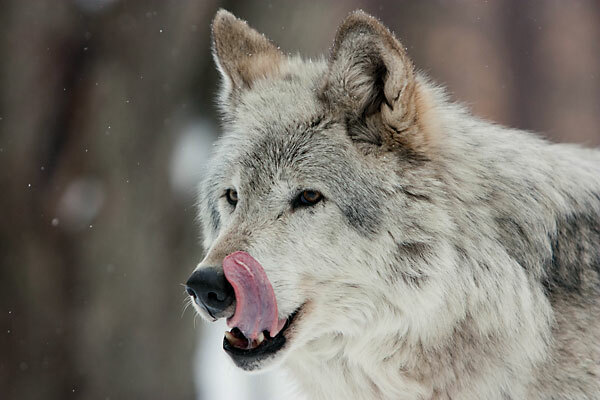 A wolf exerts 1700 lbs. 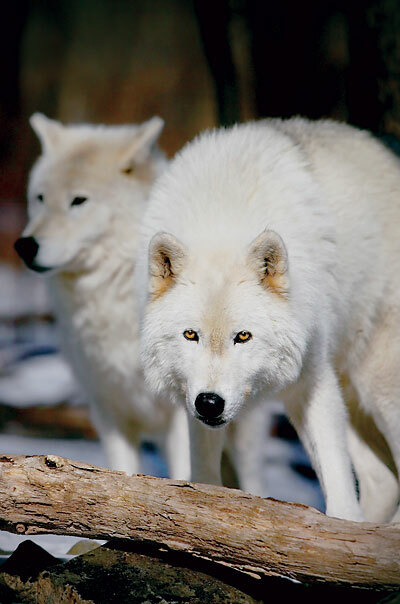 Adult male wolves weigh up to 110 pounds, with females usually weighing 10 to 20 pounds less. They may stand up to 32 inches high at the shoulder, and are often 6 to 6 1/2 feet from nose to tail. They usually weigh 15 to 20 pounds more in the winter partially due to a heavier fur coat. Wolves have a double layer of fur. The woolly underlayer grows very thick in the fall and winter and allows wolves to easily survive temperatures well below zero. The outer layer of guard hairs repels snow and water, and keeps the insulating layer dry. During the spring, the thick underfur sheds so the wolf can survive the heat. 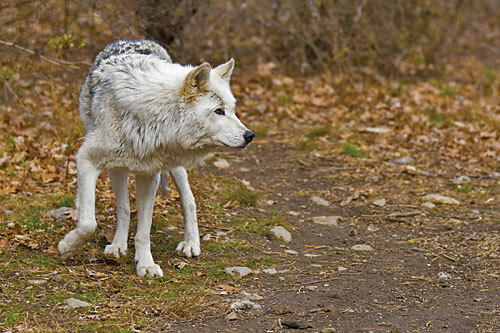 Wolves are running machines, capable of sustaining a 35 mph run for up to 12 miles or a trot of 12 mph for 8 to 10 hours. Relocating these wolves and caring for them has been an expensive proposition. 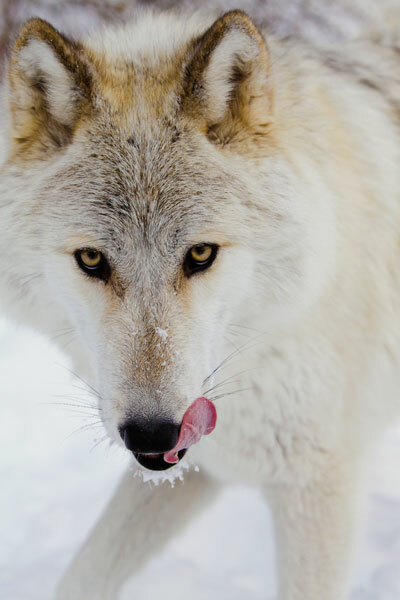 You can help defray some of the costs for feeding, medicine, and housing the wolves through various levels of sponsorships for the wolf of your choice. 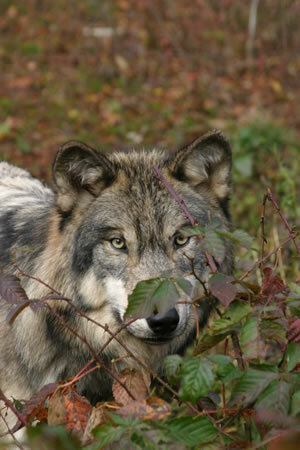 Fees for visiting the wolves within the observation area at the Preserve (Wolf Watch) are $15 adult, $10 child. Besides the Preserve’s intentions to help perpetuate Canis lupus through public education and awareness, Lakota was created with photography in mind. It is a camera that brought Dan Bacon his first close encounter with a wolf at a game farm in Montana, an experience that inspired him to create his own outdoor photography studio—only better. Their presence and movement through the forest— expressive, magnificent, personable, unspoiled (and perfectly lit)—is a wildlife photographer’s dream. Lakota offers private, guided photography sessions that focus on each group, even separate individuals. Through portal openings in the fencing, you can take unobstructed pictures of the wolves as they go about their business, roaming deep in the woods or almost close enough to touch (please don’t!). You’ll get to know each personality and each pack’s dynamic. Sessions are available at any time during the year. 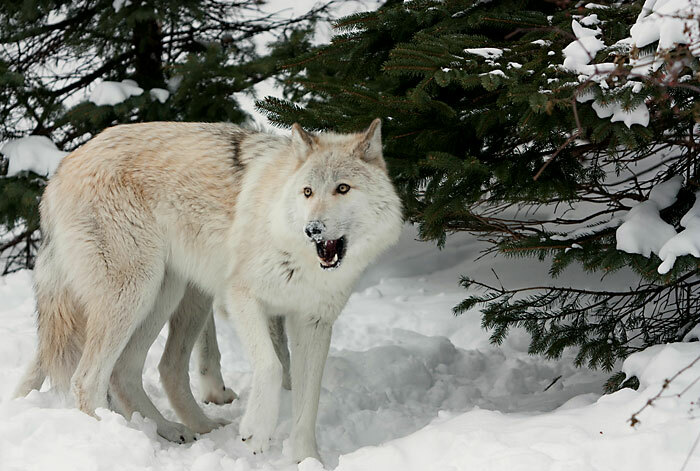 Late fall and winter are special though, when the wolves' fur bulks up and they are most energetic. Photographers have come from all over America, some even from other countries, for the experience. They range from serious amateurs and professionals to point-and-shooters who just want to be as close as possible to the wolves. Many quickly recoup the cost of admission—the faces of Lakota show up in calendars and catalogs, on greeting and post cards, and on executive office and art gallery walls. All come away with pictures that make them proud, delighted with the additions to their personal portfolios and the one-on-one experience with their subjects. Call toll free for reservations or more information: 1-877-SEE-WOLF. For current rates go to Lakota Wolf website. Current information is also always available on their Facebook page. Dan Bacon conducts a wolf watch.